Halo 3: ODST and Halo: Reach both lacked one vital ingredient: "Playing Master Chief," said Microsoft Game Studios boss Phil Spencer to OXM. "We kind of lost our way a little bit, I'll say. And that's why I wanted to make sure that at the unveiling of Halo 4, you knew you were playing Master Chief, that John was back - because Master Chief is the John Wayne character of that universe, and that's who you want to play." Spencer said Halo 3: ODST and Halo: Reach "made sense" to fans of Halo 1, 2 and 3. But Microsoft wants Halo 4 to appeal beyond those boundaries. "Fundamentally there are a ton of players on our box right now that didn't start with Halo 1," Spencer commented. "If you were new to Xbox 360 - 360 is where you started playing on Xbox - you understood what Halo 3 was. ODST and Reach, maybe you weren't as centred." "The game has a history now," he added, "and it's about bringing new customers into the fiction." Another way Microsoft hopes to broaden the Halo fan-base is by remastering the very first Halo game for Xbox 360. Nearly all of the old texture work will be slung away in favour of new, high-definition appearances. Microsoft will also add Kinect support to the game. Halo 4 was unveiled at E3 in a video that showed an altered Master Chief rescuing AI companion Cortana before jetpacking through an exploding spaceship to safety. 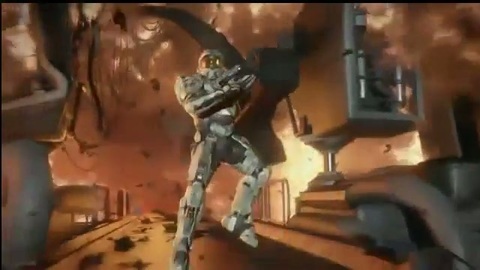 Halo 4 will be the first game of a new Halo trilogy - does that mean there will be more questions before we get answers? Microsoft may be keen to get back to Halo's roots, but what effect will the departure of series creator Bungie have - can 343 Industries live up to the hype? Bungie bid an emotional farewell to the Halo IP yesterday.